The other day, I was having lunch with a friend who had been a vegetarian before arriving to Korea. Although she had decided to become a non-vegetarian, the thought of eating meat still didn’t sit well with her consciousness. This was understandable. We all have ideologies and beliefs that provide meaning to us. For many people, being a vegetarian is a huge part of their identity. It was for me. By choice, I was a vegetarian for 16 years of my life. While I was a vegetarian, I enjoyed it. It was never really difficult for me as I always had easy access to a lot of vegetarian food while living in Canada. Thus, I never really thought about becoming a non-vegetarian. As the years passed, without questioning it, vegetarianism simply became a way of life for me. But after 16 years, there was a huge shift in my life. My deep passion to explore the world lead me down a path, which would end-up questioning and re-evaluating some of my deepest values. One of them was vegetarianism. 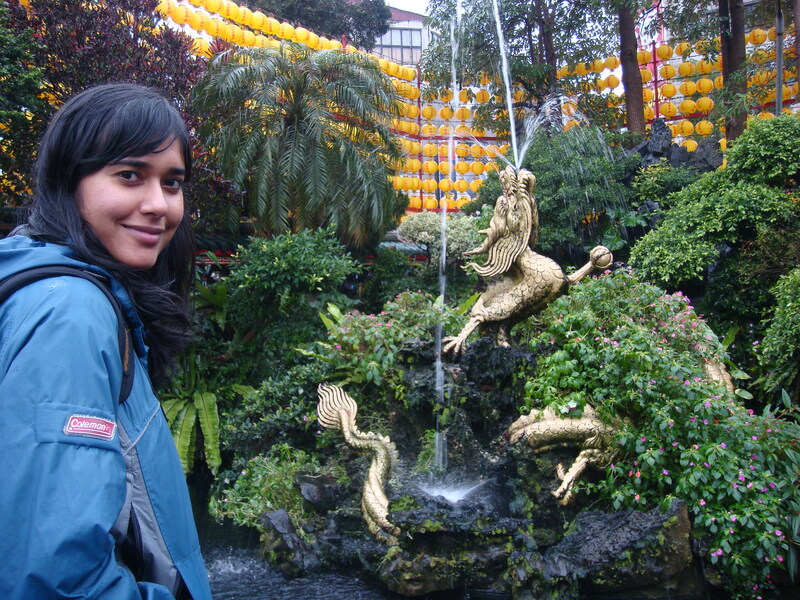 I had left my mundane life in Canada to live in a completely new country and culture. I came to South Korea. The Korean cuisine relies heavily on meat for its main dishes. Within a week, I started really feeling the effects of being a vegetarian in Korea. Every time I had a meal at a Korean restaurant with colleagues and friends, I was limited to one or two dishes. 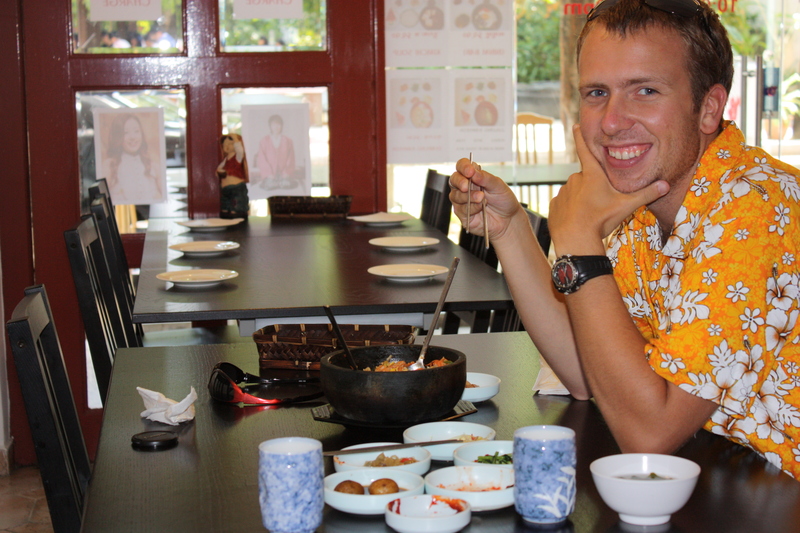 Meanwhile, Jason who was not a vegetarian would be trying new and interesting Korean foods. I would sit there feeling like I was missing out. As a vegetarian, I would not allow myself to try the new cuisine. On certain occasions, I actually felt so unsatisfied eating my plain rice and vegetables while others relished together in enjoying Korean food. However, despite the lack of food choices, sadness, and curiosity of trying new foods, I held on to my vegetarian ideals. It is very difficult to change a belief system that has been with you for more than a decade. I tried to convince myself that I would survive in Korea as a vegetarian. And truthfully I could have but travel changed me! About 3 months after arriving to Korea, Jason and I went to Japan with 2 friends for a few days. It was again so exciting to be in a completely new country and experience a new culture! Everyone was particularly thrilled to try authentic Japanese ramen. Trying real Japanese food in Japan, what an incredible experience that would be! However, I wouldn’t be able to try it. I was told the ramen contained meat-based broth. At that moment, I told myself it was okay, I would just find a Japanese vegetarian dish. We all spent the next 1.5 hours looking for vegetarian food. I ended up buying some fruit from a convenience store. It was a frustrating and useless ordeal seeking vegetarian food in Fukuoka, Japan. I felt upset for several reasons. For me, everyone had sacrificed their precious time and energy. I had inconvenienced everyone, even though they politely said they didn’t mind. Moreover, I was in Japan, and was eating store bought fruit instead of unique Japanese food. I was missing out on my chance to eat authentic Japanese cuisine! Traveling to a foreign country, and not trying the dishes just didn’t sit well with me. I mulled all this over and waited patiently, as everyone else enjoyed and shared the new experience of trying real Japanese food. It was after this particular trip to Japan, that I really started to think about my vegetarianism. I wrote myself a very lengthy essay about why I was a vegetarian. It was a long process, but to make a long story short, I eventually decided I had to give myself the freedom to eat meat. Why? In short, I knew I would regret traveling to exotic countries and denying myself the richness of the cuisines. Also, by becoming a non-vegetarian, I would be able to give myself the freedom to eat anything without being overwhelmingly concerned about whether a dish contained meat. I would avoid a lot of frustration, especially during my travels in countries where language barrier and limited vegetarian food would be an issue. For me traveling is about having new experiences, and a big part of that is trying new foods. I turned that vegetarianism card over a long time ago and since then I have never looked back. Even today I love having a vegetarian diet, but having the option to try new dishes that contain meat is wonderful too. I have been very happy with my decision. If you are struggling with whether you should remain a vegetarian, really ask yourself why are you a vegetarian. Whatever choice you end up making, the important thing is it should make you happy. 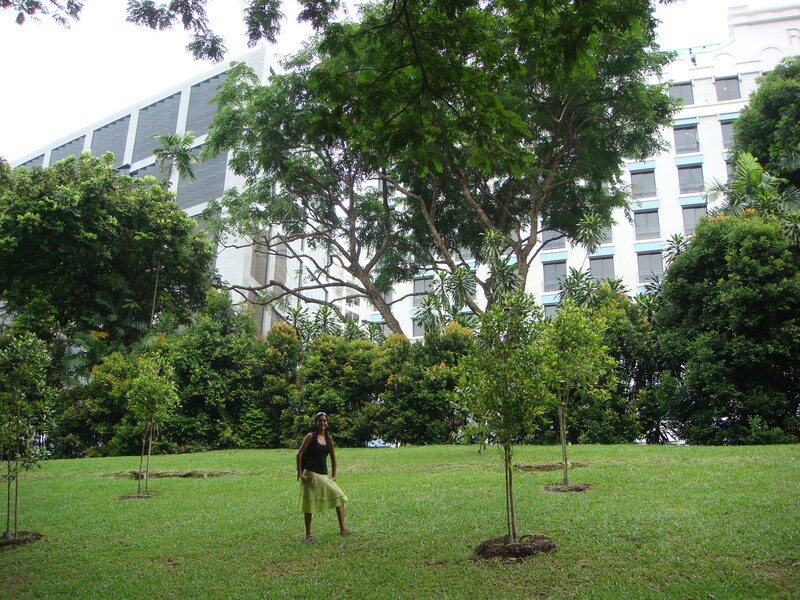 Even though we only visited Singapore for a few days, I was left with a great impression of this small island-country. Now when I think of Singapore the words: shopping, food, clean, and green immediately come to mind. 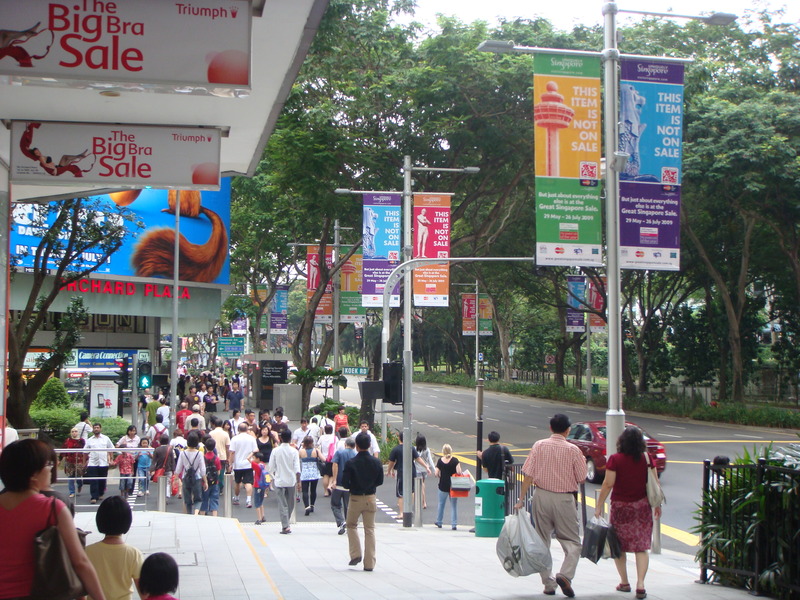 Singapore is a mecca for shopping. There are countless plazas, malls, and shops. Ubiquitous signs for sales and discounts are displayed on sidewalks. When locals and tourists are not shopping, they seem to be relishing in Singapore’s other treasure, food. International cuisine is very easy to find in Singapore, one only needs to walk into a food court to find a handful of different cuisines. While we were in Singapore, we tried all sorts of food, including Korean, Thai and Taiwanese dishes. Besides being a paradise for shoppers and food lovers, Singapore is a very attract country due to its cleanliness. Its downtown streets are extremely clean compared to other cities I have visited. 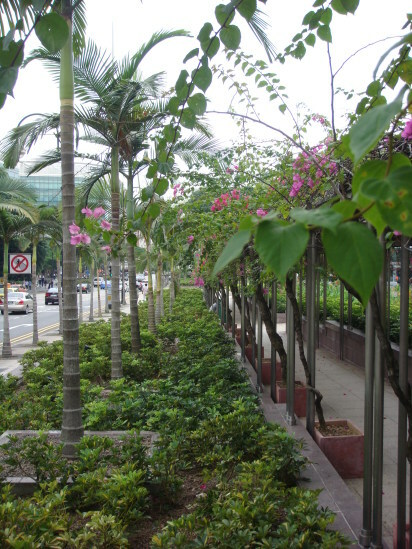 I also noted, there were a lot of green manicured trees, plants, and bushes decorating the city. 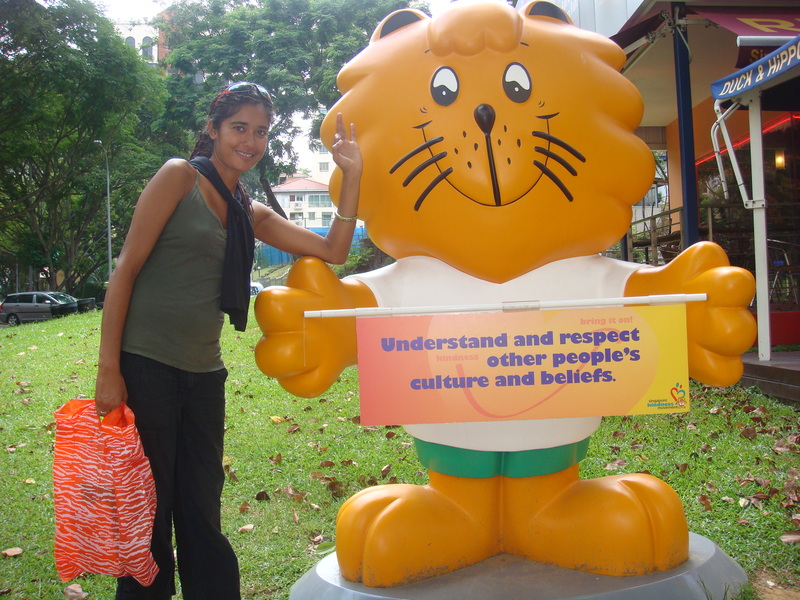 Similar mascots were found throughout the city, expressing different ideas and thoughts. I thought these mascots were great! I also loved how subway stations were named after little places within the city. Although Singapore may be small, it definitely has character. 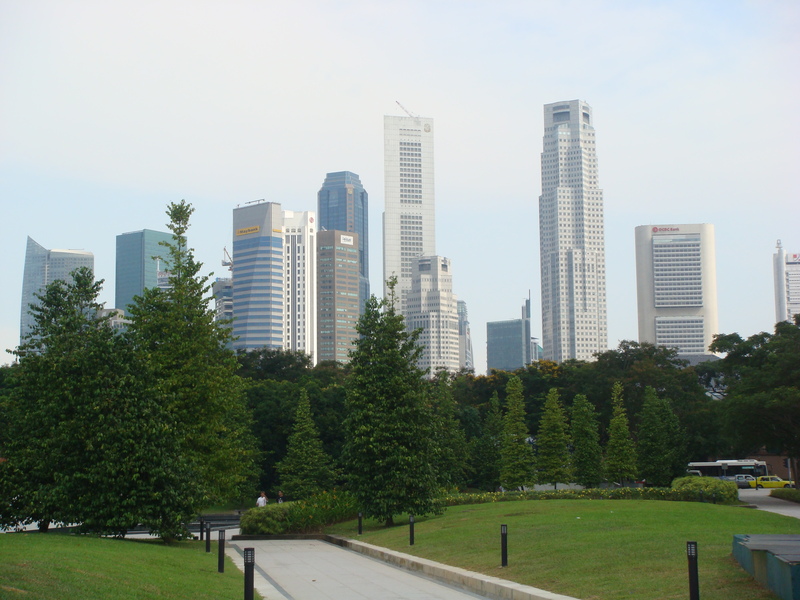 The cleanliness and green vegetation, particularly the palm trees, were the two factors that really set Singapore aside from the other countries. The first time we ever tasted Korean food was in Seoul. The introduction into this world of spicy Korean food that consisted of red pepper paste and kimchi was a delight for our palates. After two years of thoroughly enjoying Korean dishes, we knew we would miss this savory cuisine during our travels. So, before leaving for our one-year World Trip, we made every effort to get our fill of Korean food. But, it was only four months into our big trip that we began deeply craving Korean food. At that time, it was New Years’ Eve and we were in Cairo, Egypt! We were just wandering around hoping to eat at a decent restaurant since finding a Korean restaurant would be highly unlikely. At least that was what we thought, until we actually spotted a Korean restaurant! We were surprised and thrilled. What were the chances of finding Korean cuisine in Egypt! 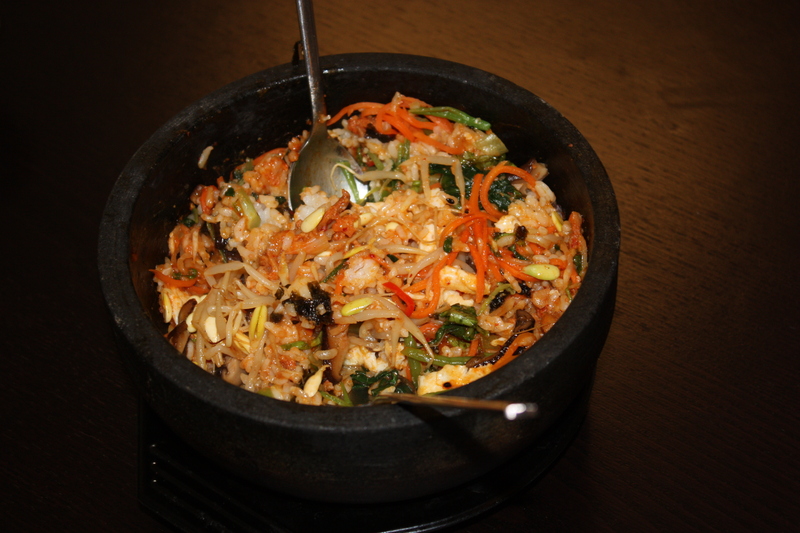 We ordered kimchi bokkeumbap and it was delicious. What a way to bring in the New Year! 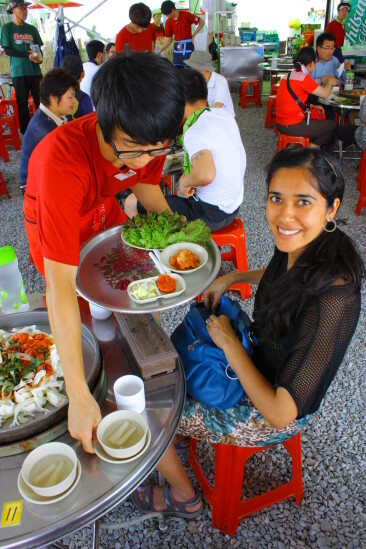 The next time we had the chance to try Korean food was seven months later in Singapore. Even though it was extremely expensive, we couldn’t resist. We ended up ordering dolsot bibimbap! The first time we ever visited Taiwan, we only had 5 days to see some of the highlights this country had to offer. 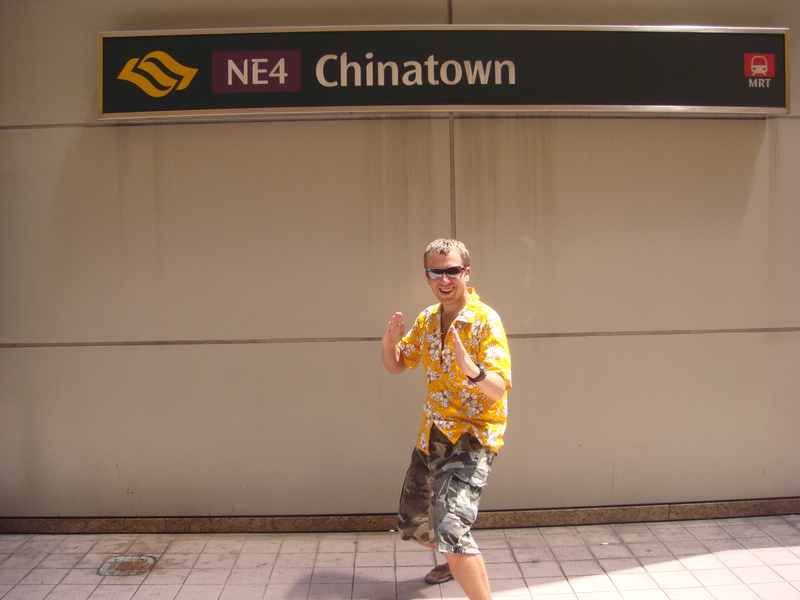 So, we decided it would be best to just explore the capital, Taipei. 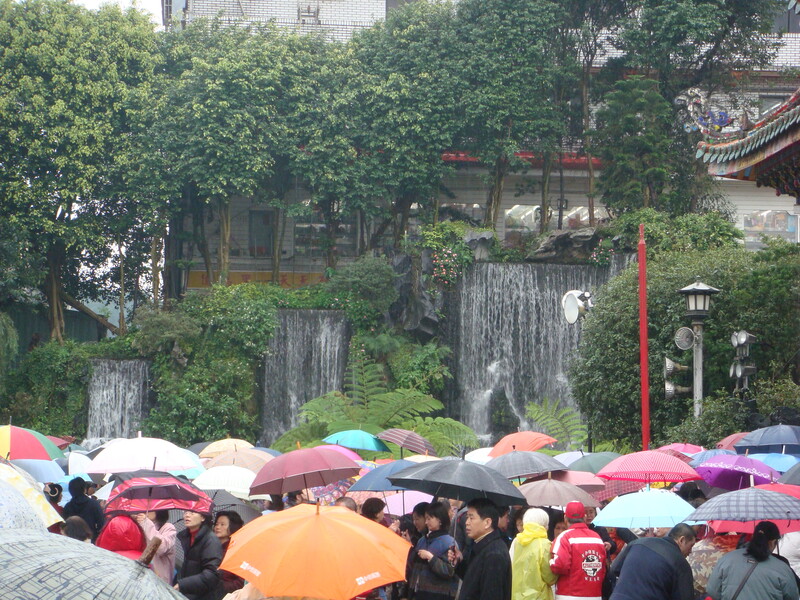 It poured rain every single day we were there! However amazingly, we had an awesome time! The people were extremely nice, the food was very delicious, and the tourist attractions were definitely worth a visit. We told ourselves, if we ever wanted to teach English in a different country besides Korea, we would do it in Taiwan. After our one year World Trip, we made our dream come true by living in Taiwan for a year. Now, after visiting the various temples throughout the country, I definitely think the Mengjia Longshan Temple in Taipei, is the most beautiful temple in Taiwan. 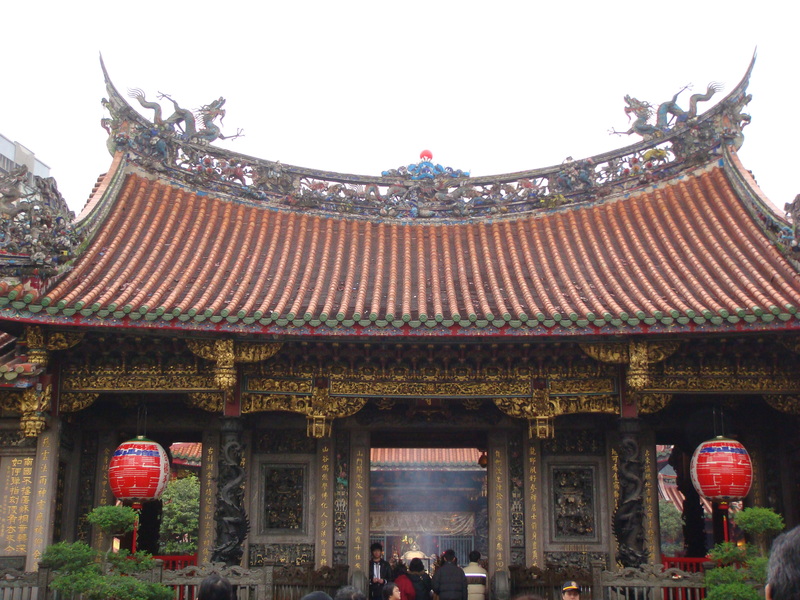 This temple is an excellent example of Taiwanese classical architecture that has southern Chinese influences. 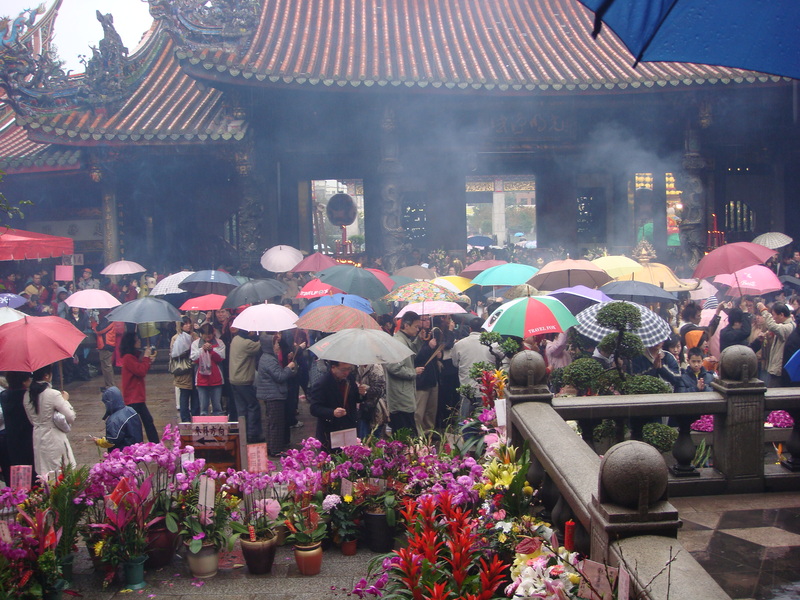 The first time I saw it was during our initial trip to Taipei and the temple looked gorgeous among the crowds of people holding colourful umbrellas. The intricate designs inside and outside the temple make it very special. 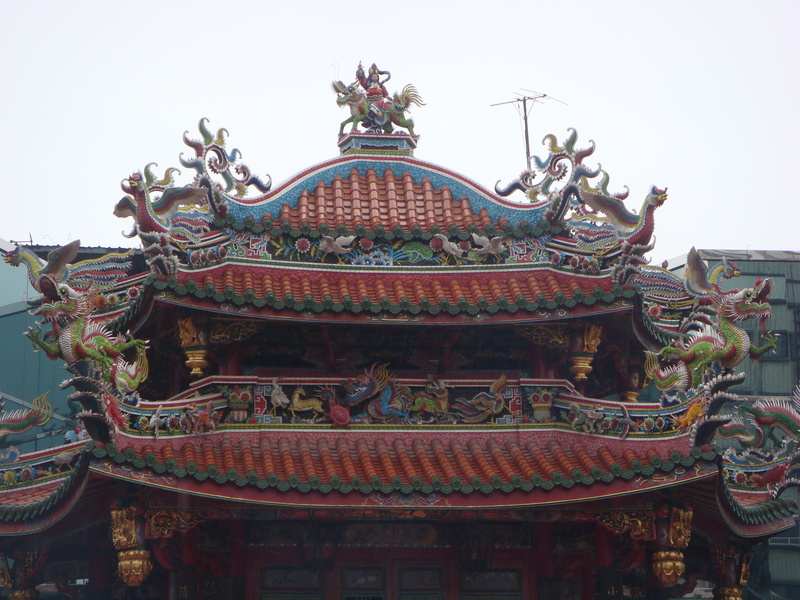 The rooftops of the temple are decorated with various serpents and animals. The main shrine inside the temple is highly ornate and thus beautiful. 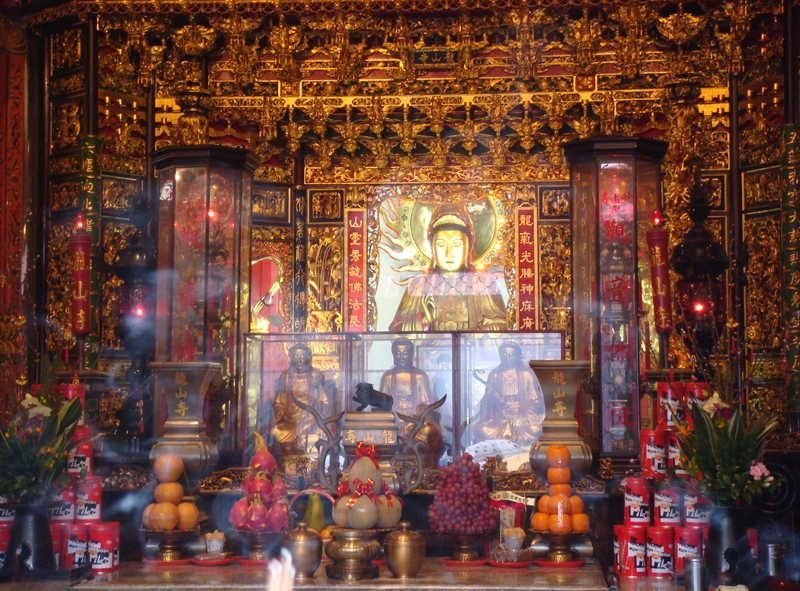 Devotees pray to both Buddhist and Taoist deities at this temple. 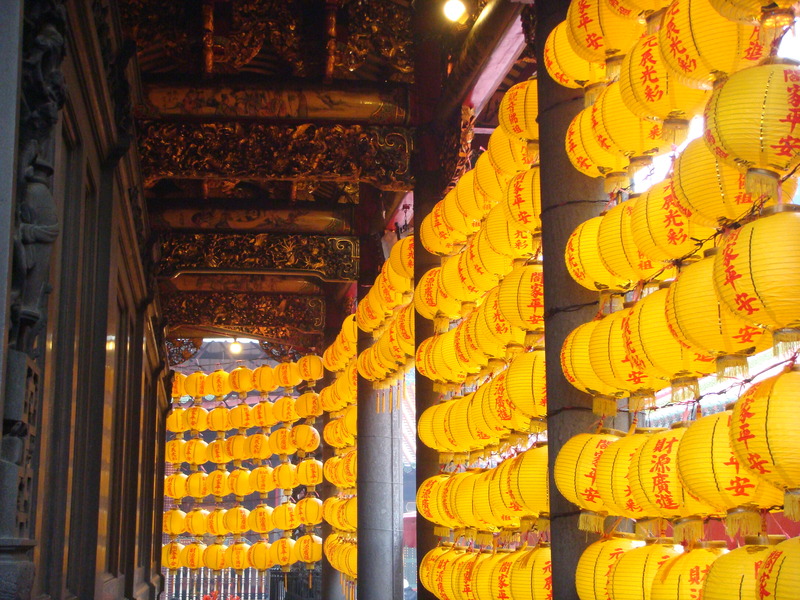 Lanterns are hung within corridors that have extensively elaborate carvings on the ceiling. 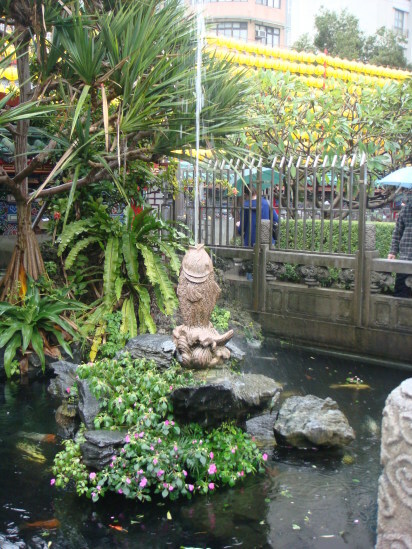 There are unique and beautiful fountains and waterfalls found on the outdoor grounds of the temple. Video: Crowds of worshippers gather at Mengjia Longshan Temple during the Lunar New Year.